I made a very simple program on pythonista. I have to do some stretching exercises every day. There are different phases in this exercise and I'm tired to count for every phase. My thought was to make a little program in pythonista. And it works fine for me. But I have a little problem. It would be really nice to have a Home Screen shortcut. 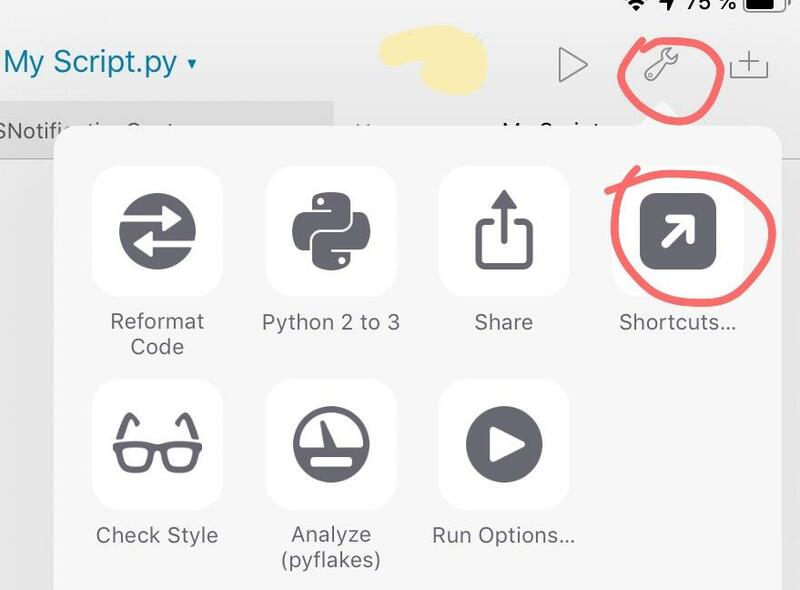 If I try to add my script to the Home Screen I get the message: "Cannot Add Shortcut - You cannot add homescreen shortcuts for scripts that are not in your Pythonista library." Probably this is very easy to solve. But I didn't find a way to add my script to the Pythonista library. Is there a solution? @Tower How do you add your shortcut on the home screen? Hi cvp, I tap on the wrench symbol and then I tap on "Add to Home Screen". @Tower You have the App Store version? @Tower Thus, in which folder is your script? I saved it in "Examples" and in "iCloud". With other scripts, I don't have this issue. Maybe it's because of my imports? My imports are sound and time. @Tower Not a problem of import, I think. I copied my script in a new file and now it works! Thanks cvp!